First of all, if he isn’t the protagonist, then who the hell is? It took them what felt like an hour and a half to finally introduce all of the unnecessarily long lists of superhero characters before they got to the actual story. I guess you could say Stark has an argument here, but I just think there are too many “good guys” in this case. I think the lack of emphasis on one particular hero is done purposefully. The viewer doesn’t have enough time with an individual “hero” to get attached. We have a ton of time with Thanos as an individual. Secondly, on multiple occasions throughout the movie, Thanos makes it clear that he sees himself as a necessary force in the universe. He repeatedly emphasizes the concept of balance in the macrocosm. He realizes that there is just simply no way around the dirty work of keeping the population in check. His own planet was destroyed because of depleted resources and overpopulation, and he uses that painful memory as motivation for his conquests. In the same way that a controlled brush fire is good for the overall well being of a flourishing forest, a thinning of the herd is extraordinarily beneficial for the greater good of a planet. Unfortunately, nobody else wants blood on their hands. Thanos sees himself as this necessary evil and the leader that the universe needs for their own good. 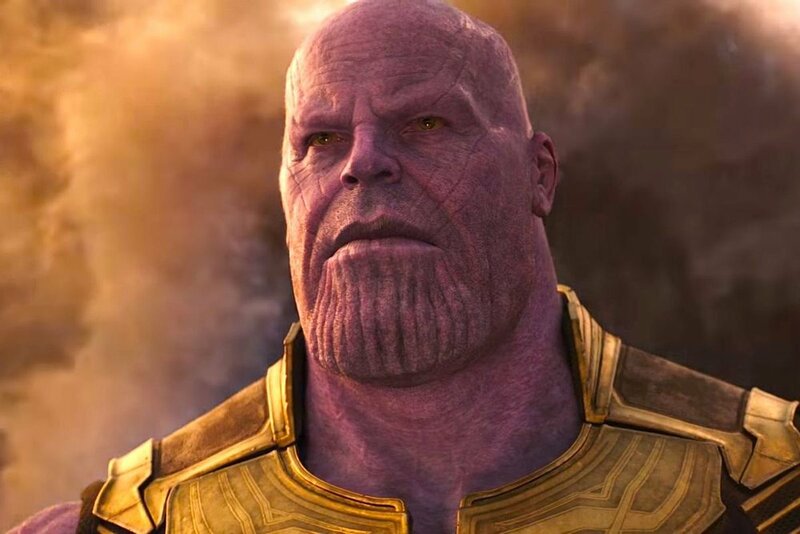 Thirdly, it is made very clear that Thanos isn’t the typical bloodthirsty villain who just wants chaos and suffering for the sake of chaos and suffering. His motivation is much, much deeper than that. There is a clear and finite plan for his mission. Although what he does is horrific, he does it because he feels like it has to be done. Also, he is clearly capable of affection, as it pained him to have to give up his daughter. He says that at the conclusion of his quest he plans on sitting back, watching a beautiful sunrise and basking in the utopia he has created. In the end, he got that sunrise. It was beautiful for everyone else but heartbreaking for him. Thanos did what he had to do in order to preserve balance in the universe. As evidenced by planets and galaxies that had failed in the past due to a lack of being kept in check, he knew that somebody needed to step up and be the one who does that job. The sad truth was that in order for him to maintain equity and harmony for the whole, he had to go through the long and grueling process of placing emotions aside and hardening his exterior so that he would be able to make impossible decisions about life and the greater good. The gorgeous utopian sunrise we see him observing at the end was bittersweet. He paid the ultimate price of losing everything he’s ever loved, but the universe was better off because of it. Regardless of whether you think his plan was necessary or if you think it was some Hitler-esque lunatic oppressive supremacy mindset, the fact remains that in his own mind Thanos was doing what he thought was right. Tragedy struck when he realized he ruined himself in the process.